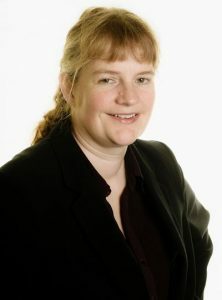 Graysons’ partner and road traffic accident specialist, Belinda Lancaster, has won £150,000 (gross) for a man who suffered multiple injuries in a car crash. Mr A was a passenger in a car that was involved in an accident caused by the drivers of two other cars – both of whom were successfully convicted of death by dangerous driving. Mr A was trapped in the car that set on fire, leading to him suffering burns, multiple injuries (including a fractured hip) as well as serious psychological and other orthopaedic injuries. The front seat passenger of the car in which Mr A was trapped, died. Belinda took up the case on behalf of Mr A and pursued the two drivers. She obtained reports from orthopaedic and plastic surgeons, a psychologist and an employment consultant in order to determine what sort of work he would be able to do following the accident. As one of the defendants had no insurance and the other defendant’s insurers had voided his policy, Belinda had to claim against the Motor Insurers’ Bureau (MIB). Her negotiations with the MIB meant dealing with issues relating to whether the Mr A had been wearing a seatbelt, as the forensic examiner said that the position of the mid-rear seatbelt, post-crash, was more consistent with someone not having worn one. There was also an issue relating to whether Mr A knew that the driver of the vehicle he was in had been smoking cannabis. However, Belinda was able to obtain an offer from the MIB of £150,000, which Mr A accepted. This was a particularly complex case with serious consequences for Mr A, who had to have an operation, had long-lasting injuries and suffered severe mental health issues as a result of the crash and attempted suicide. He was unable to go through cognitive behavioural therapy as he did not have faith in it, although he did try it twice. If you have had a road traffic accident and would like to know if you can claim compensation, contact our experts now. We will arrange a free of charge meeting in which we can discuss your individual case. We offer a no win, no fee service on all personal injury claims that we deal with.